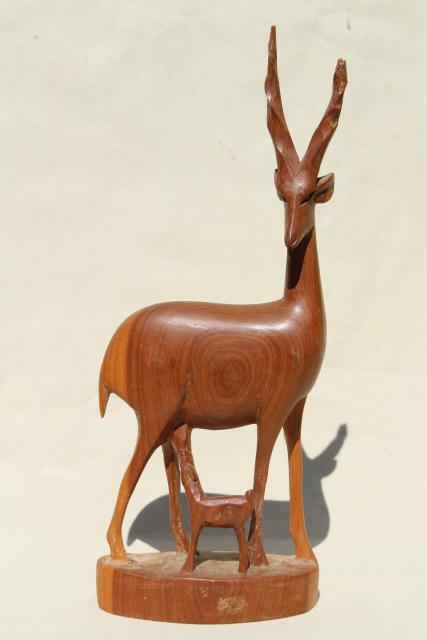 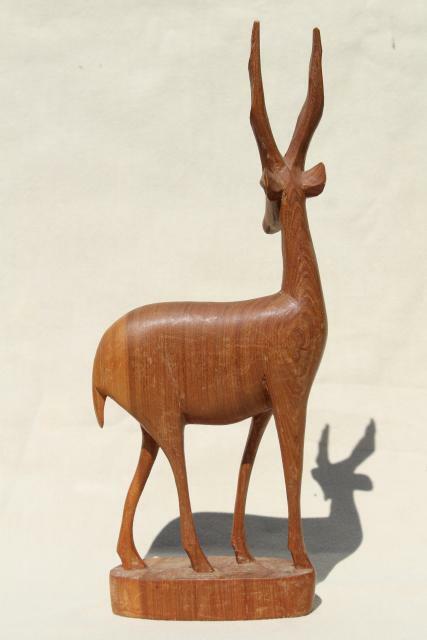 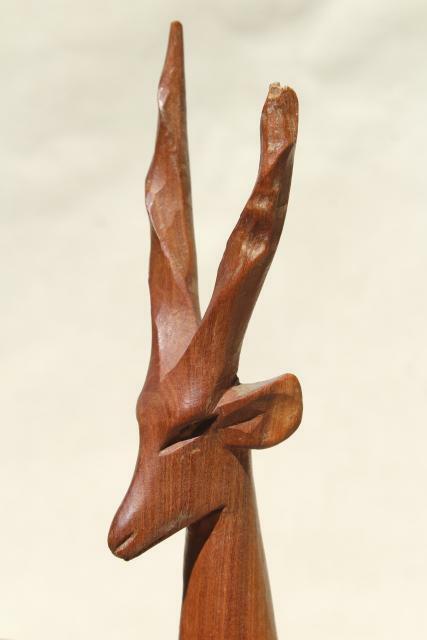 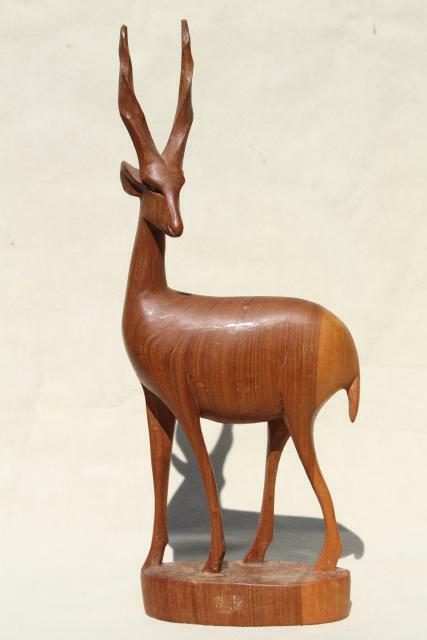 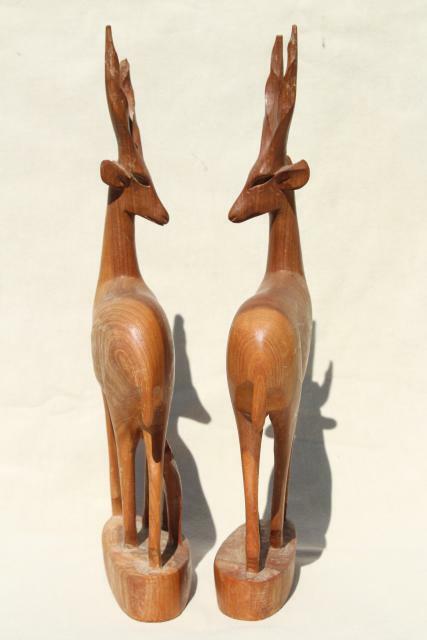 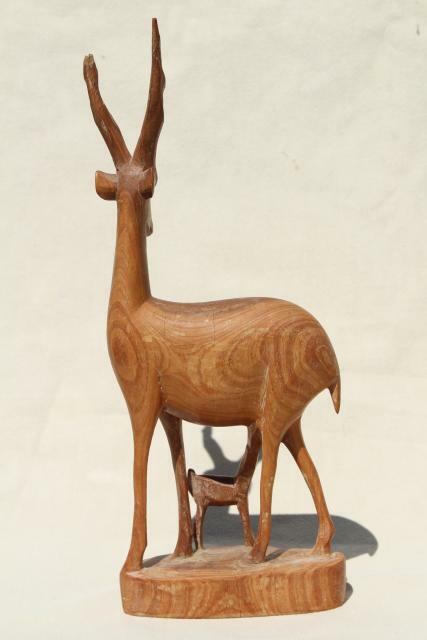 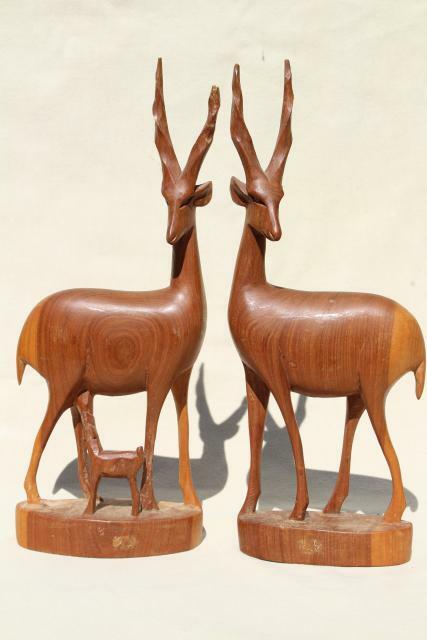 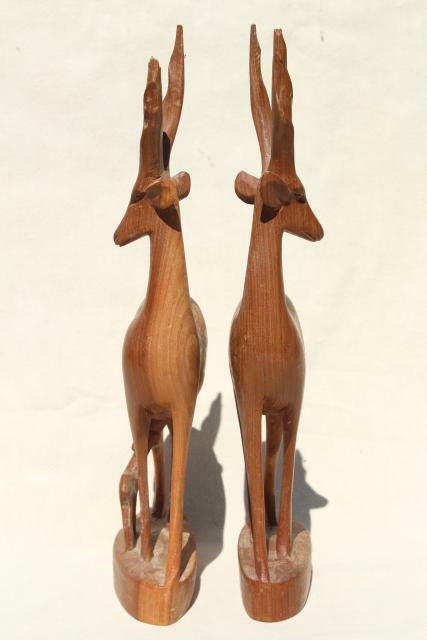 Family (mother and baby, and father deer) hand carved wooden deer or antelope, about 12 tall. 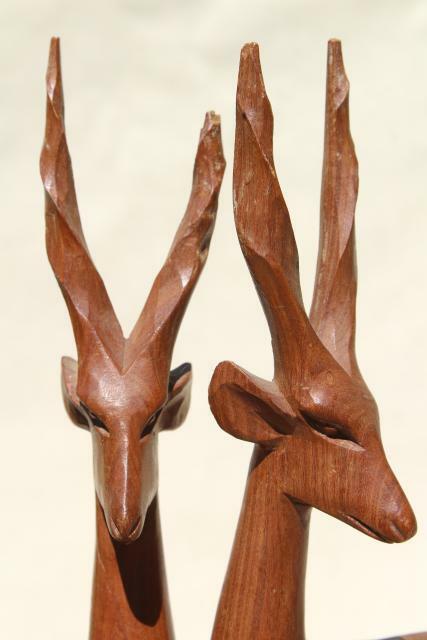 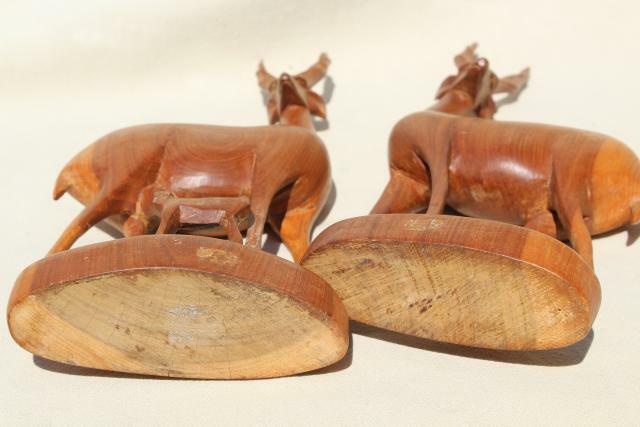 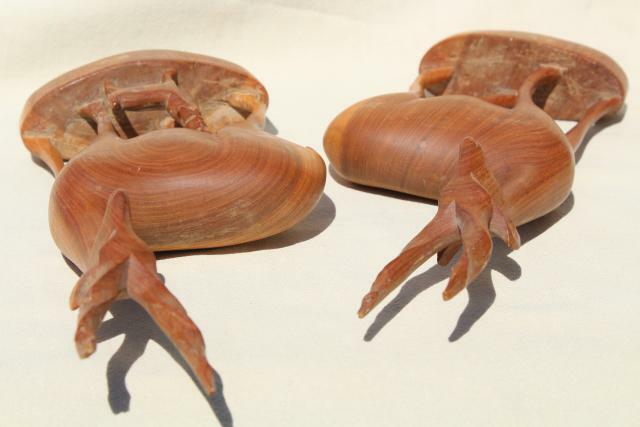 These are from Africa, I think. 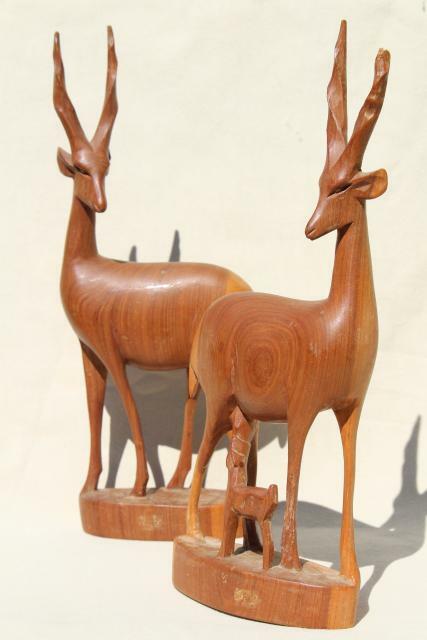 One deer has a broken horn or antler, as shown.